If you always seem to prefer someone a little “exotic” when you go looking for an attractive date, then don’t deny your nature. You are a fan of interracial romance! There’s nothing wrong with it…in fact, we owe much of our genetic progress and abilities to interracial breeding over the years. 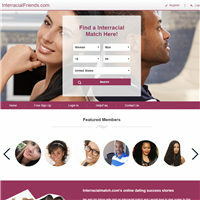 Websites like Interracial friends make their entire focus on interracial friends making, whether it’s African American, Asian-American, Latino-American, Native American and so on. The features of the site are indeed numerous and the niche dating aspect of it will appeal to viewers searching for something a little spicy in their romance. But is it worth your investment? The signup process is expedited, at least for the free membership plan. You start by searching for a partner based on gender, race/ethnicity, age and what part of the country you reside in or want to visit. Then you begin filling out your profile, which consists not only of your name and user ID but also basic information like age, race, relationship status, height, and who you are looking for. Not only can you choose singles but you can also choose couples for experimental relationships. You will have to register to begin looking at possible friends. While initial membership is free, not much can be done in the way of search until you pay for gold membership. The good news is that you can choose credit card or Paypal. Once you decide you want to pay for searches and other community features you can choose between three versions of the same gold membership program. You can choose a six month subscription, which allows you to save 60 percent over the long run at 119.95. Or you can choose a three month subscription that lets you pay 74.95 for a savings of 50 percent. Or you can pay by the month and only spend 39.95, which is about 1.20 per day. You will need a premium membership to chat, but you can wink as a standard member and fill out your profile nonetheless. You can also reply back to someone who messages you or do an initial search. But you cannot initiate conversation as a free standard member. Another nice option is that you can earn a free gold membership as a free member, by sharing advice on the dating tips section, sharing the website on social media, writing promotional articles and generally taking part in the online community. The features are indeed extraordinary, ranging from enhanced search to community perks to even connection with social media sites like Facebook. The enhanced search allows you to search for men or women and select age, region, ethnicity and by photo, to weed out members who aren’t serious about finding a connection. You can also search by new members or compatible friends, letting the system friends you according to shared interests. The reverse friends search lets you find someone based on your profile-listed similarities. In addition to connecting with Facebook, you can also keep track of connections, including who winked at you (based on a photo), who liked your photo or who viewed your profile. The Date Ideas option lets you check friends according to their ideas of what a first date would entail. There is also a section to film or watch videos of users and share with your friends too. You can also utilize the site’s Let’s Meet feature which is Tinder-like in its ability to quickly say yay or nay to meeting a person based on location and photo. The community is certainly lively, given that you have access to a forum for member chat or blogs for each members, giving you insight into their daily lives. Lastly, don’t forget about the site’s advice section, where you can get dating tips from experts or other users, or leave your own based on positive or negative experience. 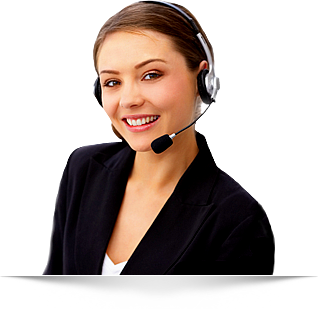 The site allows members to share only information that is basic, and protect most of your other valuable contact data. Users can expect reasonable protection but must take steps to ensure they do not share such information by accident or willfully. Additionally, the site lets premium members verify their photo, by sending some form of ID along with the photo. This helps weed out members that “catfish” and pretend to be someone they’re not. The customer service of the Interracial friends site is top notch, considering they have multiple forms of communication. For basic questions, the company offers an interactive knowledge base that answers questions about profiles, memberships and photos. You can find the answer to the most frequently asked questions by entering in your question into the system. However, if you need some one on one attention regarding more complex issues, you can email the staff directly. Even better is the company’s live phone number which lets you talk to an operator for the fastest response time. The website is definitely for a niche audience but if you are attracted to different races you will find Interracial friends a wonderful place and so much beyond just the generic search site. Here you not only get friends from the system but can also surf Tinder-style or view blogs, forums and photos at your leisure. This is a site that promotes community, social interaction and actually gives dating advice. The free gold membership option by way of promotion is also a great way to entice new members to not simply pay a fee but help the growing community. This site is not only going to improve your love life but will also help you make many new friends!